From Street to Stage from Wilderness Productions on Vimeo. 50 years after the landmark BBC drama, Cathy Come Home, 20 homeless actors get ready for the performance of their lives. This documentary follows their journey to the sell out performance at the Barbican. Watched in 38 countries and a standing ovation. Now, the cast return to the reality of homelessness and benefit issues. Wilderness Productions followed the rehearsals and all the drama on and off stage. Includes interviews with Ken Loach, who directed the original Cathy Come Home. In 1966, Ken Loach directed a TV play that was later to be rated as the most influential British television programme ever made. Gritty and shocking, the film broadcast to 12 million people. It told the story of Cathy and Reg, whose lives changed from having a flourishing relationship in a modern home, to poverty, unemployment and ultimately, homelessness and the loss of their children. The film changed perceptions of homelessness across the UK. 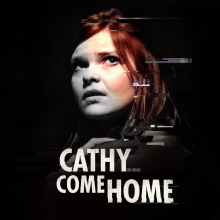 Now 20 people with various experiences of homelessness come together for a groundbreaking stage performance of Cathy Come Home to 2000 people at the world-famous Barbican Centre in London. At the end of 2015 it was announced that homelessness in London has soared 79% since 2010. Against a backdrop of this homeless crisis, Wilderness present a documentary that witnesses the transformation of some of these vulnerable individuals who gain confidence, purpose and drive through performing on a stage.